New York: Reggae singer Beres Hammond is scheduled to make his late night television debut on NBC's Late Night with Jimmy Fallon show on Tuesday, December 11th, 2012. 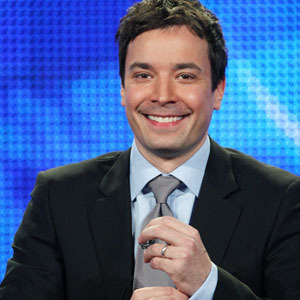 The Grammy-nominated reggae icon will be greeted by Jimmy Fallon and sit in with The Roots to perform his hits in and out of the commercial breaks. The following day on December 12th, Beres Hammond will take over the new Brookly Barclays Center at the Sounds of Reggae Concert along with UB40, Maxi Priest and Shaggy, performing his iconic songs as well as new material off his anticipated album One Love, One Life. His new double-disc studio collection will be available November 13 on VP Records. Beres Hammond had a hand in producing 19 of the 20 songs. The first disc One Love included his signature classic lover's rock sound on new singles like "No Candle Light" and "Keep Me Warm," while the second disc One Life contains more of his socially-conscious, spiritually-empowering tunes including "You Stand Alone," "Truth Will Live One" and "Prime Time." Fans and critics alike have been eagerly awaiting this release. After the announcement, OKAY PLAYER raved "Beres Hammond is the Barry White of the Caribbean. He is also the Teddy Pendergrass of the Caribbean and the Frankie Beverly maze of the Caribbean. Which is to say he is the go-to-babymaker, the best kept secret and the perennial crowd favorite who apparently does not know how to fall off-all rolled into one man." Whether Rihanna is quoting his lyrics on Twitter or Drake is retweeting that "Beres Hammond has to sing at my wedding," Jamaica's most prolific crooner has influenced some of the biggest stars today. 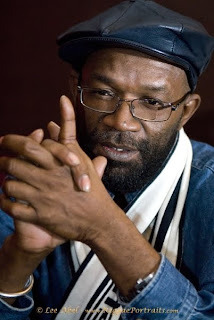 Known to many as the "Otis Redding of Reggae," Beres Hammond has been producing and pouring out his smoky-voice over every kind of riddim track for over three decades. In 2oo1, Beres brought us major hits like "They Gonna Talk" and "Rock Away" from his Grammy-nominated album Music is Life. VP Records then released The Ultimate Collection. Can't Stop A Man in 2003 to commemorate Hammond's career, and in 2004 Love Has No Boundaries, which features his familiar romantic ballads and mid-tempo dancehall grooves. His last studio album A Moment In Time was released in 2008 and features his most recent smash hit "I Feel Good." Beres Hammond's track record of hits is unprecedented in reggae. He has garnered an international fan base from his ceaseless touring schedule around the globe. He performs non-stop and has repeatedly sold out some of the country's largest and most prestigious venues including the Theatre at Madison Square Garden and Radio City Music Hall. He is also a star favorite among Alicia Keys, Carl Thomas and Wyclef Jean. We keep fussing about Jamaican Dancehall music, wanting it to so badly represent and follow trends of the Legendary Bob Marley, founding fathers and icons of the Reggae genre but in most cases where a Dancehall song takes flight from the Jamaican shores it's the complete opposite. 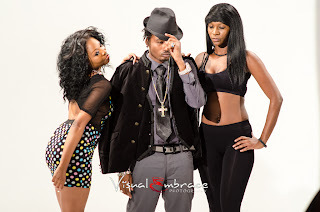 Recently Reggae and Dancehall artistes Mega Banton, Singer Jay and G-Loc remixed the over 400 million youtube viewed Gangnam Style song originally done by Korean Hip-Hop artiste PSY (Park Jae-Sang) to their own liking, "Jamaican Badman Style" and the ratings have already shot through the roof. Google's massive global music forum, spotlighted Richie Spice's new album, Soothing Sounds: Acoustic, when the Tad's Record Release debuted worldwide on , October 23, 2012. Born Richell Bonner in St. Andrew, Jamaica, Spice AKA the Prince of Reggae, joined forces with Tad's Record and some of reggae's biggest hit-makers on this 15-track acoustic opus of socially-conscious, roots anthems that cement the prolific entertainer as a household name for reggae lovers, worldwide. "i just wrapped a U.S. West Coast tour, spreading the vibes of the new album from Los Angeles to Seattle," Richie Spice disclosed. "The reception and the enjoyment from all my longtime fans, and new ones, are utterly fulfilling. I'm full-joyed to be waving the reggae music flag to all corners of the world." Spice and his management had planned more shows to take his unplugged sounds of the new album to fans everywhere. Soothing Sounds: Acoustic is a masterpiece collection that is testament to the evolution of Richie Spice, showcasing an eclectic mix of musical elements that fuse classic reggae vibes with modern day acoustic rock, Spanish guitar, jazz and African drum beats. The first single, an uplifting call for unity titled "free," is currently available on iTunes, and remains in heavy rotation in Jamaica and across reggae airwaves, worldwide. The video for "
free" debuted on television channels in Jamaica last month, and continues to garner traction for the growing classic. The second single "Crying," which depicts Spice's signature chanting-style as he conjures socially-conscious questions, is also enjoying airplay on radio, The "Crying" video was shot on location in Jamaica and will be released in the upcoming weeks. Bramma the self titled, Jamaican Dancehall 'Gorilla' recently struck a deal which involves new Management but retains a recording contractual agreement with long time friend and former Manager Steven McGregor. According to Bramma it is a good look for his career at this time as his new manager will now undertake the administrative and professional responsibilities of his career while he concentrate on making music with Steven who fully endorses the move. The revised agreement between himself and the 'Genius' does not restrict him from recording with other producers allowing him even more flexibility to now freely record for whomever he chooses. Now an official member of S-Locke Entertainment with the head of the company based in London and local representatives, several undertakings has developed in Bramma's career. 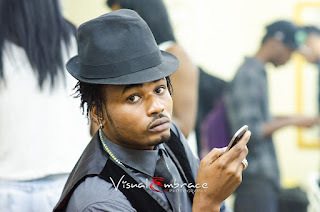 In one weekend, Bramma shot two new videos for tracks 'Cha-Cha Boy' on the Mad World riddim and 'Wha Gwaan Me Darlin' produced by Chimney Records and is about to shoot a third. A major publicity campaign will soon be launched to ensure his music reaches every crevice and corner of the island and he prepares for an upcoming tour in Europe where he will perform at over 15 venues along with the Big Ship Family (Steven, Laden and Chino) in November 2012. Bramma 'Da Gorilla' hopes the move will yield success and penetrate the market in a meaningful way. He now has recorded several tracks already that have either been released or will be coming out momentarily and these includes, 'Love Sensimellia' produced by popular British artiste Gappy Ranks on the Hot Coffee Label, 'It's Fire' on Bex Riddim produced by Ward 21, 'Run Bout Ya' on the Jump Out riddim produced by Big Ship, 'All These Ladies (Love off Me)' on the Techniques Records label, 'Hold Dem Hand' produced by Charlie Pro and a super-collab called 'Haters Warning' produced by Esco featuring the 'Gad Father' Bounty Killer as well as Ward 21, Chino, Rollin X, Esco and Chan Dizzy. Bramma who celebrated his 25th birthday September 2012 is confident that the way forward is more promising. His number one priority is to find that hit song, "yeah man da song deh whey shot, whey everybody like" he said. A a self motivator, "the proof in the pudding" or a dream every artiste dreams until it finally happen. Jamaican Reggae/Dancehall recording artiste Konshens will appear on the highly publicized Americas Next Top Model, cycle 19, episode 9 series created and co-produced by International Supermodel and talk show host Tyra Banks and broadcast in over 25 countries, as Celebrity Guest Judge. How does he feel about this? "It was a good experience and an opportunity to gain international exposure" said Konshens. The series will be aired on Friday, October 26, 2012. 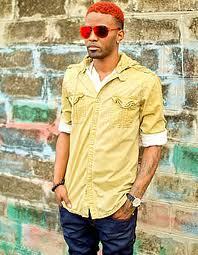 Konshens has recently been nominated for a MOBO Awards. 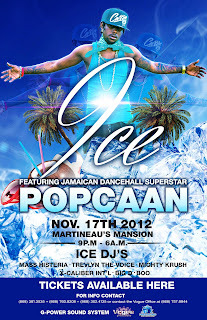 Popular Jamaican Dancehall artiste Popcaan is expected to turn on the heat at 'Ice' when he visits the twin island of Trinidad and Tobago on Saturday November 17, 2012. 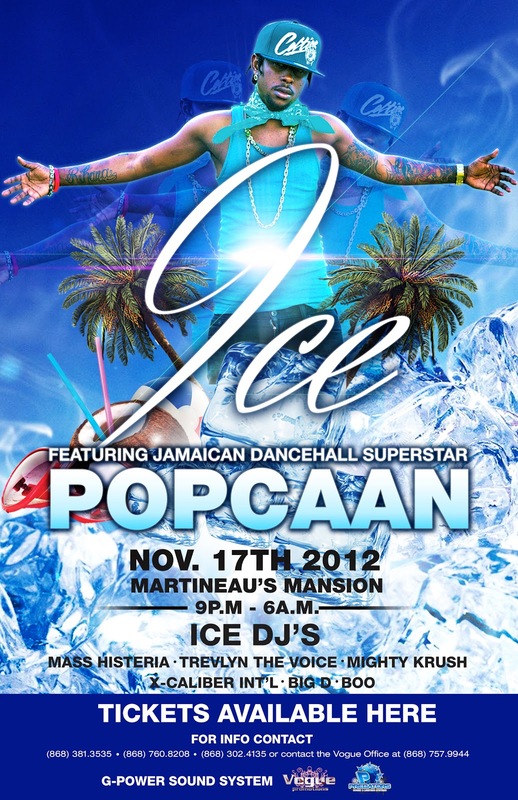 Popcaan will be performing at Martineau Mansion in Tobago which will be transformed in a sea of 'blue and white' with patrons participating in enhancing the colour concept as women are asked to attire in white and men in blue 'Oppa Gangnam Style.' 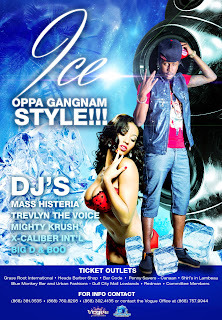 Popular local DJs Bagosound, Mass Hysteria, Funk Master, Might Krush and Carter (red) will also be pumping it to make this party the hottest ever in Tobago since the start of the year. Party guests will be coming out to hear Popcaan's popular tracks like Party Shot, Body So Right, Whine Up, Naughty Girl, Up Inna De Club, Summer Wave, Real Bad Man, Dem Sell We Out and so many more. If you are in the Caribbean or more specifically in Tobago, Don't Miss it!